USB surfsticks are increasingly displaced by mobile hotspots with battery, but Huawei brings an LTE stick E3272 again recently on the market. The Huawei E3272 is held in the “stick form factor”, the USB port is so rigid and not like the previous model Huawei E3276 swiveling (“rotator form factor”). The maximum speed is 150 Mbit/s downlink and 50 Mbit/s in the uplink, which corresponds to LTE category 4 like previous LTE surf sticks Huawei E3272. With dimensions of 93.3 mm x 30 mm x 13.3 mm and weighing 35 grams, Huawei E3272 is much easier to take in pocket or bag. Somebody say Huawei E3272 is on the HiLink function, which allows the operation of the surfsticks with no software. When you first plugged into the PC, only some drivers are installed, we found the mobile partner is still available in this stick. In most cased, no more setup is needed before connection, Huawei promises a connection in just a few seconds after plugging in the modem. The USB port is protected by a cap, unfortunately this is not secured with a ribbon on the stick as you would know from the Vodafone K5150 LTE Stick. 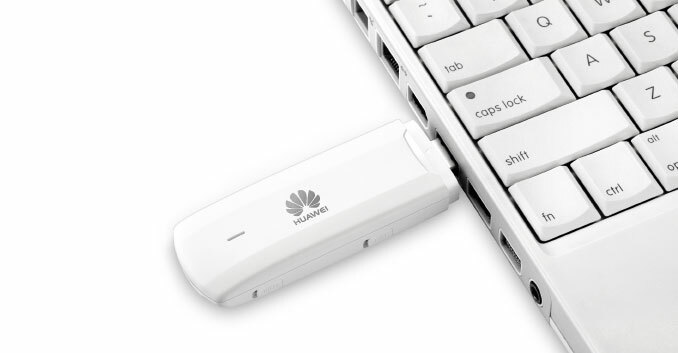 Two connectors for external antennas (2 × 2 MIMO) are located on the sides of E3272 body, as well as a slot for MicroSD memory cards is available, so you can use the Huawei E3272 LTE stick as a storage media. The system requirements are relatively low, so you can E3272 with Windows system from XP (Service Pack 3), Windows Vista (Service Pack 1), to Windows 7 or Windows 8, alternatively you can of course also use with MAC OS, here must be at least OS X to be installed in version 10.6 or higher. The Huawei E3272 LTE stick is available in stores 4gltemall.com now, without a contract. With a slim body and good functions, we recommend Huawei E3272 if you want to enjoy the LTE Download link speed to 150Mbps.